Students and their families are often surprised to realize some colleges reduce their financial aid packages when the student earns private scholarship dollars—a practice called financial aid displacement or award displacement. Colleges that practice displacement say it helps free up more funds for more students; students and families say it unfairly punishes those making the effort to earn scholarships. Whatever your perspective, it’s a complicated issue without easy answers. The most accurate description we’ve seen of displacement is “the Catch-22 of financial aid”—and because it’s so controversial and has a major impact on students and schools, it is increasingly at the forefront of education discussions. Here’s a look at recent developments. The new Maryland law does allow for displacement in some cases. According to the Baltimore Sun, it “allow[s] reductions when a student’s aid exceeds the cost of college or with permission from a scholarship provider.” These provisions are designed to address colleges’ concerns that funds will be directed to students who don’t need them, at the expense of those who do. The Maryland decision may be a bellwether, with a handful of other states expected to bring the displacement debate to the legislative floor in coming years. Its impact won’t be clear right away, but both funders and schools are watching eagerly for the first year’s results. As legislatures take a wait-and-see approach, some scholarship providers are working to take matters into their own hands. At the forefront of financial aid innovation is The Michael and Susan Dell Foundation, whose Dell Scholars program is managed by Scholarship America. They take unique approaches to scholarship aid that reduce the chance of displacement. Longtime Dell Scholars Program leader Oscar Sweeten-Lopez told the Baltimore Sun “‘[t]he majority of the students that we work with will face some kind of a displacement.’” To ensure that those students—around 3,800 in the program’s 14-year history—get the most out of their awards, the Dell Foundation allows students who face displacement to defer their scholarship money until they graduate. At that point, they can claim the full value of the scholarship and use it to pay off loans. There are no real definitive numbers as to how many colleges practice displacement, although a 2013 NSPA survey of more than 60 schools indicated approximately four in five had “optimal” practices—reducing a student’s unmet need first, then loans and work study, and grants as a last resort. Because of the small sample size, it’s hard to say whether that number applies nationwide, but it’s encouraging that a large percentage of schools are aware of, and trying to avoid, reducing gift aid. 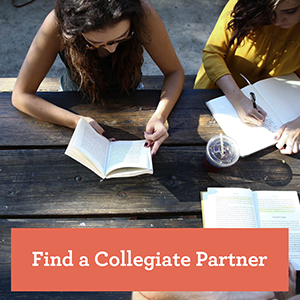 Of course, the Collegiate Partners network does not cover every scholarship or every school. But these partner institutions have shown a commitment to treating financial aid fairly—valuable information for families and scholarship providers alike. Whether you’re a scholarship applicant or a funder, it’s vital to learn in advance how your funds will be treated by a given institution. As you can tell from the disparate ways of dealing with it, displacement can seem overwhelming for students and families navigating the world of financial aid. When it comes down to it, there are really three vital questions to ask. 1. Does my college practice either partial or full displacement? If the answer from the financial aid office is “no,” you’re in the clear. 2. If displacement is practiced, will the college reduce loans first? 3. Do I have to use my private scholarship for this year’s tuition? Financial aid packages differ wildly, and so do private scholarship guidelines and restrictions. If you find yourself facing the possibility of displacement, contact both your school and your scholarship provider to explore your options. It may be possible to defer the funds to a subsequent year when your need may change; it may also be possible to use the funds for books, room and board or other fees not reflected in your aid package.